Quadrantanopia is a disease in which a quarter part of eye loss its vision. The word quadrant is used to define a specific area of visual field. Visual fields are divided into two hemispheres i.e. left and right and anopsia may occur in the upper or lower region of hemisphere i.e. superior and inferior region. Physicians use visual field detection technique to diagnose the Quadrantanopia via machine conducted by physician. Common tests are tangent screen test or an automated perimetry exam. Selection of the test is totally based on the symptoms shown by the patient. Patient may feel anxiety and most of the time is in anxious mood. Depression may also face by patient as he cannot take part actively in routine activities of life. Pain is also reported because the patient uses energy to see things. 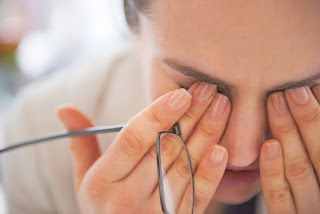 While focusing on anything for long time, eye muscles may feel fatigue. Stress is also associated with Quadrantanopia. Quadrantanopia may occur due to any injury. Obstruction in blood flow of arteries supplying blood to eye can also be reason behind Quadrantanopia. Injury in a part of brain associated with vision may also lead towards this condition. Any degenerative disease like epilepsy and seizures are also considered the main cause behind loss of vision in quarter part. Rupturing of arteries involved in circulation of blood also contribute toward the occurrence of this disease. Any lesion in the temporal and parietal region of brain also in occipital lobe is the main cause considered behind occurrence of this condition. Quadrantanopia is a condition associated with the temporal and parietal region of brain. It also involves the occipital lobe concerned with vision. Any kind of head injury or specific site injury regarding vision may lead to Quadrantanopia stroke. Stroke appear suddenly and patient becomes panic. Various diagnostic techniques are used to diagnose the site of injury in brain for selection of treatment regarding this condition. During stroke, patient may feel hallucinations and sometimes go through epileptic episodes. This stroke can occur as a result of brain hemorrhage. Stroke may contribute towards the complete loss of visual field. Recovery of Quadrantanopia is totally depend upon the worsening of condition and patient’s will. Recovery from this condition is very slow that it may take years to recover but sometimes it does not take long to recover. If the nerves in the brain associated with this condition get repair then recovery is obvious otherwise chances of recovery are rare. Most of the cases reported with slow recovery and patients feels disappointment about recovery. Nerves take time to repair themselves if there are other degenerative diseases already present.